I finally did a bit of beauty-related shopping over the weekend, after a pretty long hiatus. I stopped by Sephora and I was checking out the sale section, and I happened to spot a few nail polishes from Sephora on sale for $3.00 (originally $6.00). 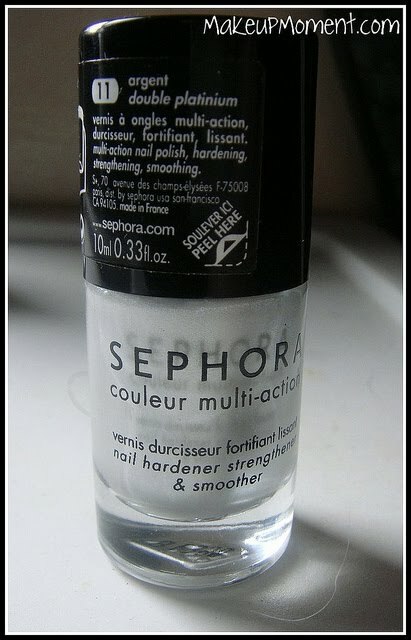 The Sephora Colletion: Multi-Action Nail Polish contain nail hardening and strengthening properties. On the Sephora website, there are much more colors to choose from. But unfortunately, there wasn't a wide selection in the store. I did ended up purchasing two that caught my eye. 2 coats of brownie-sorry for messy application! First up, we have Brownie. I was so happy to take this polish home with me because I was in dire need of a creamy, dark brown polish that I could sport this fall. Brownie is just that-a rich, dark brown cream that dries with a glossy finish. 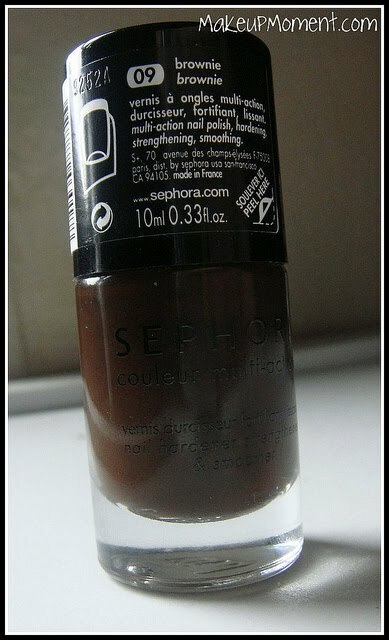 Honestly, I don't even think you need a clear top coat when it comes to Brownie-but of course, I apply one anyway. 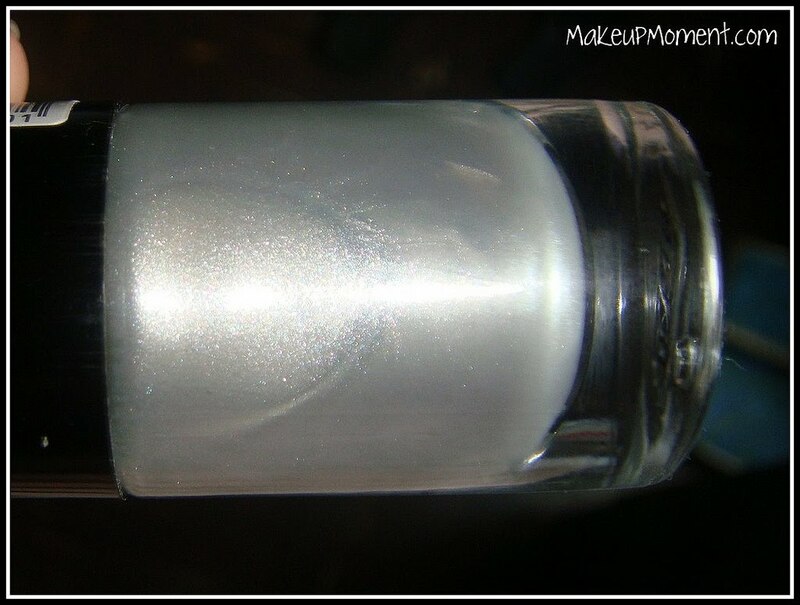 Application-wise, the polish formula was very easy to work with-not runny, but not too thick either. Just perfect. I found that one coat gave an awesome opaque coverage, and two coats just sealed the deal and made the polish even richer and deeper. I liked how easy, and fast it was to apply this polish-the brush made it very easy to apply. Some may not like the fact that the brush head may be a little on the bulky side, but personally I had no problems with it. Although, I am sporting Brownie on my nails at this moment, my only gripe would be that I got a few air bubbles on some of my nails. I don't know if it was the polish's fault, or my own application-issues. Overall, a very pretty brown that I am happy to have in my collection. Next up is Double Platinum. Double Platinum is a gorgeous shimmery platinum silver duo-chrome with a pearl-like finish. I think this color is very pretty, and sort of gives the feel of a romantic, retro look for fall. You may not be able to tell from the bottle but the duo-chrome in this polish is amazing, once it's on the nails, and it hits a certain light. I see gorgeous hints of gold, and green. I noticed that when the nails hit the natural light of the day, the duo-chrome can't be seen anymore. I just see a solid platinum color. Very cool how one polish can have so many effects huh? LOL! Application was very nice and the formula was perfect. 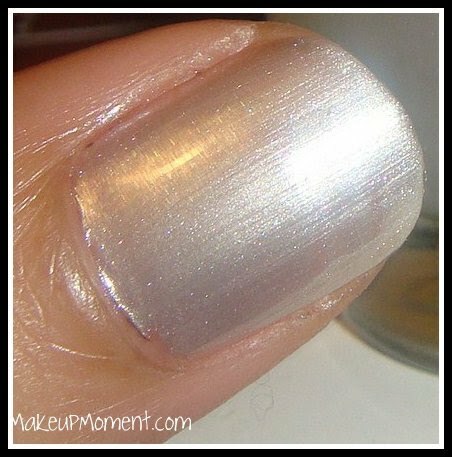 I found that one coat of this polish can be a bit sheer, so I suggest doing about 3 coats for a full, opaque platinum look. Again, this polish dries to a glossy finish which I really like. To round up this post, I will say that I am very happy with these polishes from Sephora, and I hope to check out some more shades. Oh, and if you are wondering about the drying time with these Multi-Action polishes, they don't disappoint. They are dry to the touch within a matter of a few minutes. 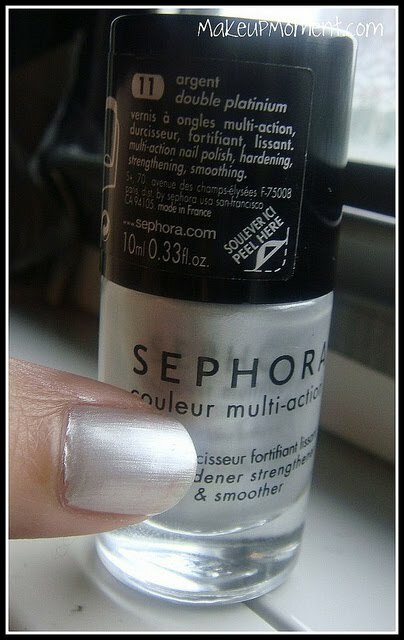 I want to mention in case any of you are wondering that the 'Platinum' part on the polish is spelled 'platinium'-while on the Sephora website it is spelled platinum. I guess it was a typo. 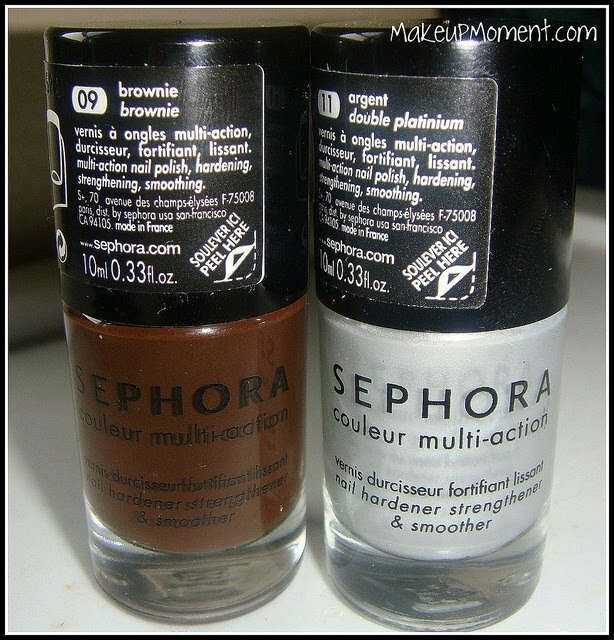 Have any of you tried these nail polishes from the Sephora Collection line? Let me know in the comments section, I would love to hear! both colors looks very lovely! how weird, i picked up double platinum on Saturday too! i have yet to try it yet, but i plan on doing so in the near future. I've never tried these colors, but I do love the Double Platinum. The price is right!